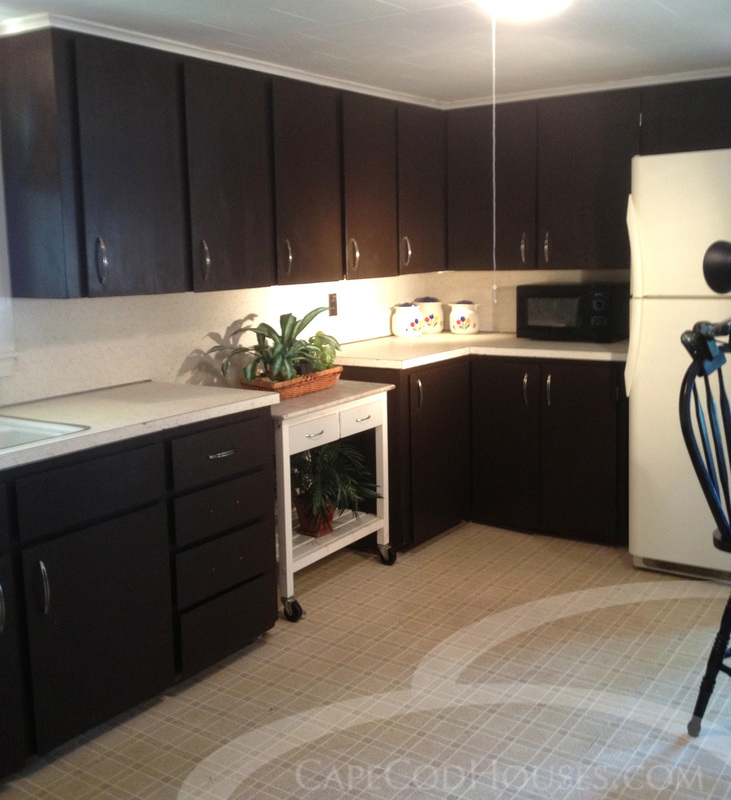 Marilyn’s $75 DIY Kitchen Makeover! Starting this week off on the blog is another cheap and easy DIY renovation project from the Real Estate Associates master of DIY – Marilyn Osborn! Marilyn and her husband have a 1940s era Cape Cod house they’ve been renting consistently since they purchased it. Like any good realtor that follows their own advice, Marilyn has kept up with maintenance, repainting and recarpeting every few tenants. 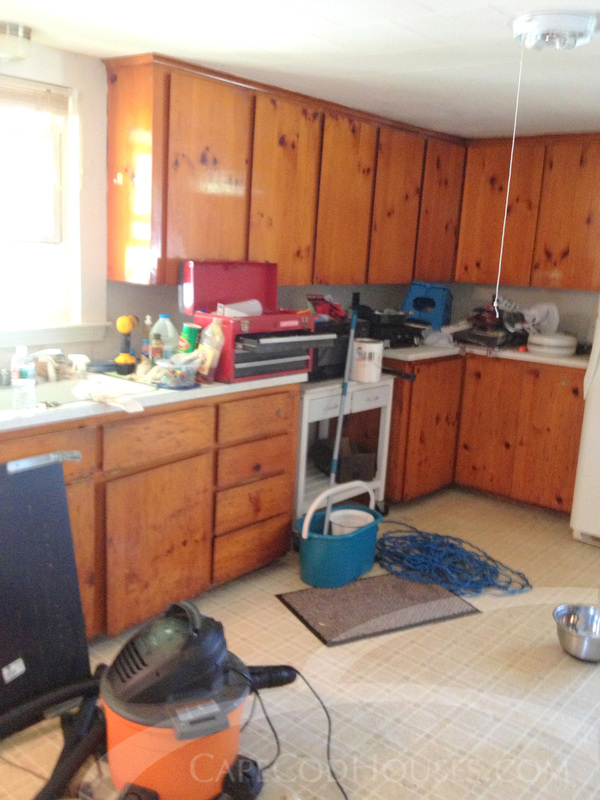 This summer, it was the kitchen’s time to be redone. F0r no reason in particular, the kitchen had gone without updating for several years and was looking dated. Marilyn and her husband were at a crossroads – do they go the whole nine yards and start from scratch with new cabinets, or find a way to update what’s there? Hard to believe that it only took $75 to get this result! There are still a few things on the list left to be done, like finishing adding the new nickel hardware and replacing the light fixture, but even without them the results are stunning! Should this home ever be put on the market, this easy renovation could add up to $30,000 to the sale price. Have ideas for more cheap and easy home renovations? Leave them in the comments and we’ll turn them into a future blog post! Want a home with a kitchen like this? We’d love to help you find it! This entry was posted in Uncategorized and tagged Cape cod, cape cod houses, Cape Cod Real Estate, DIY kitchens, diy renovations, easy cabinet makeover, kitchen makeover, new kitchen on a budget, real estate, Real Estate Associates, real estate renovations. Bookmark the permalink. 6 Responses to Marilyn’s $75 DIY Kitchen Makeover! wow … now that’s using you money wisely ! !